Dovetail Games, the multi award-winning simulation game developer and publisher, is pleased to confirm the latest instalment of its next-gen train simulator, Train Sim World®: Great Western Express will launch August 24, 2017. Train Sim World®: Great Western Express is available to pre-order now for existing CSX Heavy Haul owners at the special price of £9.99. Alternatively a bundle of both CSX and the Great Western Express instalment can be pre-ordered for just £29.99, making a saving on the post-launch bundle price. 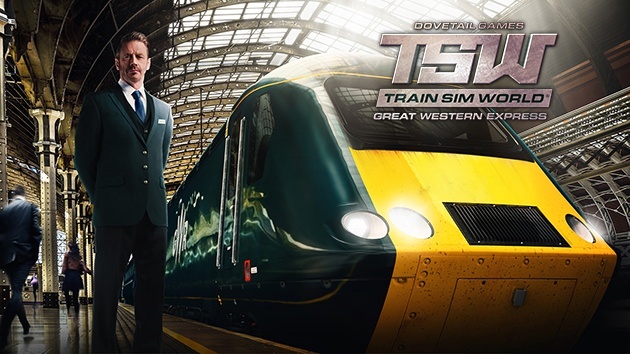 Matt Peddlesden, Senior Producer on Train Sim World at Dovetail Games said, “We can’t wait for people to get their hands on Great Western Express and experience true next-gen train sim action. The HST is one of the most iconic and interesting to drive locomotives in the history of British railways and it’s been a labour of love bringing it to life for everyone to enjoy in the Great Western Express”.